Interesting tips on how to get more followers. When you sign up for Twitter, you’re asked to provide 3 pieces of personal information: a bio, a homepage link and a picture. So show us who you are. Imagine meeting someone at a cocktail party who did nothing but talk about themselves all night long. Would you want to listen to them for very long? Want more followers ? Stop talking about yourself. When you look at the average reply percentage of folks with over 1,000 followers and compare it to the reply percentage of users with less than 1,000 followers what you find is interesting. Users with lots of followers respond much less frequently. The effect is the same when you compare users with more than 1,000,000 followers with those that have less. Twitter accounts that use the word “guru” tend to have 100 more followers than the average Twitter account. Negative remarks include things like sadness, aggression, negative emotions and feelings, and morbid comments. If you want more followers, cheer up! There are not so many infographic specific for Belgium. I find this one in Dutch. I like it as it gives a clear view of the Net in Belgium. Here-below, the list of 11 Free Microsoft Tools You’re Overlooking. Your will be enchanted ! Hotmail was the first Web-based e-mail service, and one of the first to be free. The free Microsoft Outlook Hotmail Connector lets you view your Hotmail data from within Outlook, and Hotmail also supports Exchange Active Sync so your Hotmail e-mail, contacts, and calendar can be automatically synced with mobile devices. Exchange is Microsoft’s messaging server used by many businesses for e-mail, but Exchange Active Sync has emerged as a standard used by many devices to sync mail, contact, and calendar information. 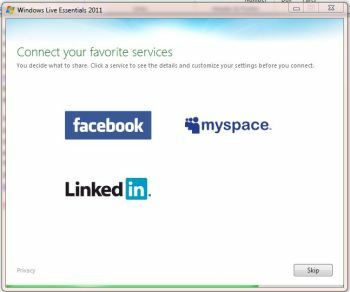 Windows Live Mail: Whereas Windows Live Hotmail is a Web-based e-mail service, Windows Live Mail is a desktop e-mail client application that lets you add and view multiple e-mail accounts–including Hotmail and Gmail–from one interface. For users who don’t want to spend the money to get Outlook, Windows Live Mail performs many of the same functions for free. Windows Live Messenger: At its core, Messenger is simply an instant messaging (IM) tool. It integrates with Facebook, LinkedIn, and MySpace, it delivers MSN news, and it connects with your Hotmail account. Messenger is more of an online communications hub than an IM client. But if the aggregated view is too noisy for you, you can switch to the compact view which is more like a traditional IM client. Plus, its mobile app lets you stay connected on the go from a Windows Phone 7, BlackBerry, Android, or iOS mobile device. Windows Live Mesh: It can be daunting to keep information synced among various PCs and devices you use, or to make sure you have access to your data even on the go. Windows Live Mesh helps tie everything together and automatically keeps your data synced and available. You can keep files and folders automatically synced among different Windows or Mac OS X PCs running Live Mesh, or with Microsoft’s cloud-based SkyDrive data storage service (see below). Windows Live Writer: Microsoft Writer makes it simpler to write blog posts for a variety of blog platforms including WordPress and SharePoint. Rather than having to learn different blogging conventions, you can just type the post the way you want, and easily add photos, videos, or Bing maps to enrich your post with interactive content. I like using it to create my post like this for wordpress. Photo Gallery: For many, the PC has replaced the bookshelf photo album as the primary repository for photos. 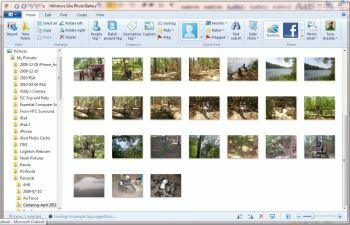 Windows Live Photo Gallery gives you the tools to import photos and videos quickly from your camera or smartphone and keep them organized on your PC. Its advanced editing tools let you fuse pictures together or combine elements from different photos to make the best possible picture. It also includes built-in search options that let you find photos based on when they were taken, or where, or to use facial recognition technology to find all photos of a given person. 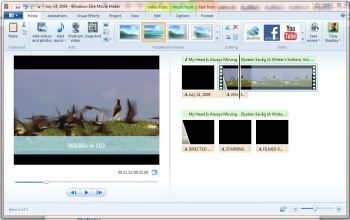 Windows Live Movie Maker: With HD video being virtually a default feature of smartphones, laptops, and tablets these days, everyone is an amateur director or producer. Edit and polish that lengthy, boring footage of your daughter’s fifth-grade play on Movie Maker before sending it to friends or family, publishing it online, or posting it on social networking sites like Facebook. Give it a title and intro, cut out parts you don’t want, add some background music, and more. Editing and producing a movie is simple with Movie Maker. Windows Live Family Safety: Family Safety 2011 enhances the parental controls already built into Windows and makes it even easier for parents to protect children from the darker side of the Web and to monitor or limit Internet activity. Parents can even limit e-mail and IM communications to approved contacts, and can log in to view activity reports from their own PC rather than checking in on each separate PC. Everything seems to revolve around the cloud these days. In other words, we find ourselves using products and services that exist on the Internet rather than locally on our PCs. But if you happen to be without Internet access or if the service goes down, that can be a problem. Luckily, services such as Windows Live SkyDrive are great for backing up data to the Internet, or for storing files and folders that you want to access from just about anywhere. 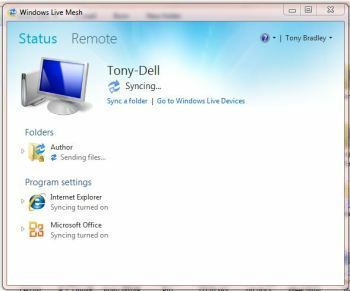 As mentioned earlier, you can use Windows Live Mesh to sync data automatically from a local folder to SkyDrive cloud storage, where you can make sure it is backed up and available. Windows Live MovieMaker turns anyone into a movie director or producer, and helps you polish those home movies.The 25GB of storage provided by SkyDrive is sufficient for most SMBs to back up critical data. (Data synced using Windows Live Mesh is limited to a separate 5GB space.) Plus, a Silverlight tool lets you drag and drop files and folders from any browser that supports Silverlight, Microsoft’s framework for delivering interactive Web content. Along with SkyDrive, Microsoft also provides free, Web-based versions of the most popular Microsoft Office applications. Office Web Apps let you create, view, and edit Microsoft Word, Excel, PowerPoint, and OneNote files directly from the Web even if Microsoft Office isn’t installed on your PC. Office Web Apps lack the complete inventory of bells and whistles found in the full Microsoft Office suite, but they are more than adequate for most users, and you can’t beat the price. The best part is that the files created in Office Web Apps are in the same format as their desktop Office counterparts, so compatibility is not an issue, and the files can be shared with peers for collaborative editing online. 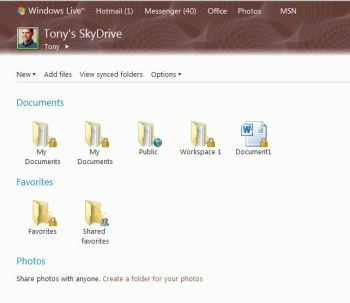 Windows Live SkyDrive stores your files and folders on the Web so you can access them from virtually anywhere.But organizations that want more robust tools, or the full Microsoft Office experience, should look for the upcoming launch of Office 365–Microsoft’s replacement for Business Professional Online Services. Starting at only $6 per user per month, Office 365 will provide Exchange e-mail, Lync instant messaging, SharePoint collaboration, and the Office Web Apps productivity suite. Security software is unfortunately a requirement for Windows PCs. There is no shortage of attackers and malware developers targeting PC users with viruses, worms, phishing attacks, and other insidious things. Windows has a built-in firewall to keep unauthorized traffic and users out of your PC, and Windows Defender to identify and block spyware and drive-by downloads. But for more comprehensive antimalware protection, get the free Microsoft Security Essentials software. Security Essentials is simple and does what it needs to do with a minimum of user intervention or annoyance. This infographic explains what is the network effect and how is social networking more powerful. In 2010, LinkedIn made about $200 million in sales. In 2011, its stock price suggests a market cap of $9 billion. Trading at 45 times its revenue makes LinkedIn the highest price-revenue ratio of any stock in the world, said Espen Robak, president of the firm Pluris Valuation Advisors. Facebook is expecting a $100 billion valuation by IPO in 2012. Twitter has the highest current revenue-valuation ratio. What kind of wild valuation multiples could we see from the next batch of upstarts? The cool chart below* answers that question. How to communicate to Generations X, Y and Z.